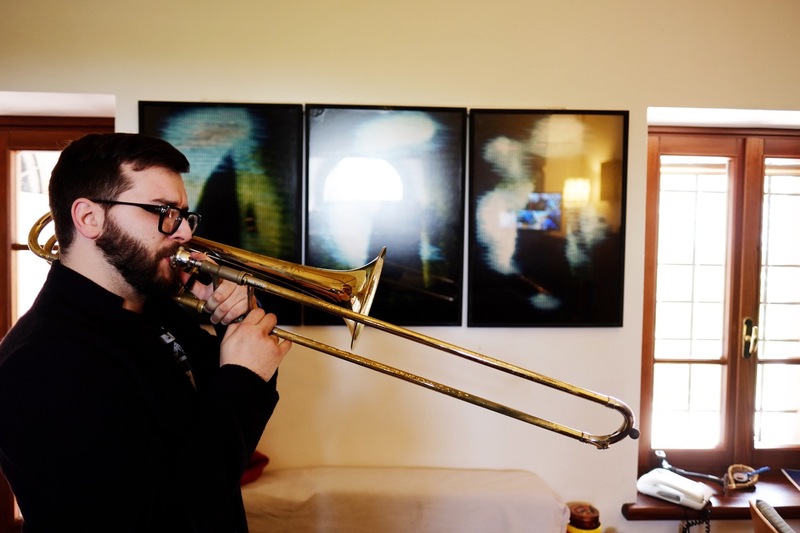 Trombonist and Tuba player, Andrea was born in 1989, attended the Bergamo Music Conservatory G. Donizetti of and continued his jazz music training at Milan Music Conservatory G. Verdi. Over the years Andrea has cooperated, among others, with: Sheila Jordan, Cyro Baptista, Dave Douglas, Mike Westbrook, Paolo Fresu, Adam Rudolph, Chris Cutler, Karl Berger, John Falzone, Tino Tracanna, New MADE Ensemble, Pino Jodice, Pasquale Mirra, Danilo Gallo, Maurizio Brunod, Robert Bonisolo and many others. He has performed in primary national and international jazz festivals, in Italy and abroad: London Jazz Festival (UK), BMC (HU), Umbria Jazz, Torino Jazz Festival, Bergamo Jazz Festival, Young Jazz, Clusone Jazz, Jazz(s)RA (France), Il Ritmo delle Città, Mantov Jazz, Novara Jazz, Parma Frontiere, The Great Night of Jazz, etc. He also features, as a permanent member, to “Artchipel Orchestra” (awarded by Top Jazz as Best Italian jazz group of the year in 2012, 2014 and 2017); “Contemporary Orchestra” and “Far East Trip”, leaded by Giovanni Falzone, and “Eloisa Manera Ensemble”. Andrea co-leads the Clock’s Pointer Dance Collective (Paolo Malacarne, Andrea “Jimmy” Catagnoli, Andrea Baronchelli, Michele Bonifati, Filippo Sala; they released a self-titled album in June 2017) and is a managing partner of UR Records label. Andrea leads, A.B.Normal Quartet (Andrea Baronchelli, Michele Bonifati, Danilo Gallo, Alessandro Rossi) wich released its first album “Out of a Suite” (UR Records) in October 2018.